You are chartered with the need to deliver new IT services, to scale existing deployments and to offer additional services with the existing infrastructure. You are also constantly challenged to demonstrate ROI for your IT investments. eG Enterprise is the right solution for you. Our universal insight technology gives you unparalleled visibility into every aspect of IT service performance. Historical reports and trends highlight where the bottleneck areas lie for performance optimization. Empirical metrics collected by eG Enterprise provide key insights you can use for ensuring that new investments are made in the right areas, at the right time, and for maximum returns. eG Enterprise helps you “Do more with less”. 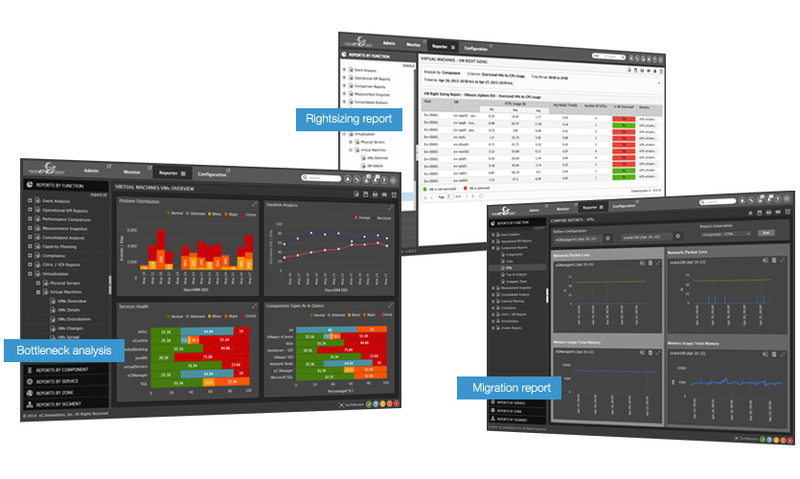 By automatically analyzing key performance indicators, eG Enterprise helps you focus on the most critical aspects of IT service performance. Ensure success of key migration initiatives by benchmarking and comparing performance and configuration before and after the move. Compare and benchmark technology choices for your IT infrastructure and decide on future investments based on hard facts, not rough estimates. Right-size your infrastructure for maximum ROI using performance insights into every layer, every tier. Optimize service performance and resource usage by analyzing usage patterns and trends. White Paper Choosing a monitoring system for your IT infrastructure? What should your key considerations be?